What does “passed from death to life” mean in 1 John 3:14? 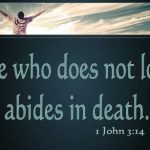 When John writes in 1 John 3:14 that we know we have passed from death to life because we love our brethren, he is not talking about how we know we have eternal life, but how we know we are in fellowship with God and one another. After Nineveh experiences a city-wide revival in response to his preaching, Jonah becomes angry at God in Jonah 4:1. What do you think about that? Have you ever thought that he should have rejoiced instead? In this study of Jonah 4:1, we see Jonah’s response, and come to understand that Jonah’s response is actually quite normal and natural. You and I might have had a similar response. Maybe we do. 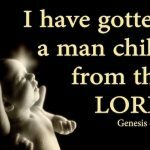 I have said numerous times before that Genesis forms the foundation for the entire Bible. 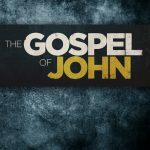 Today we are going to jump forward into the New Testament and take a brief glimpse at how the Gospel of John pulls themes and ideas from Genesis 1–3, and also how the first Epistle of John pulls themes from Genesis 4. I have a new eBook coming out soon. The following post hits on one of the themes I write about in this book. To get this new book when it comes out, make sure you have subscribed to receive my blog posts and eBooks by email. 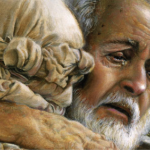 Which son is the true Prodigal Son in Luke 15:11-32? 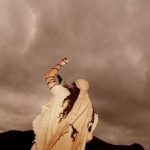 After briefly summarizing the Parable of the Prodigal Son and looking at one false idea I used to hold about this parable, this post provides four ideas to help those of us who feel like the older son to recognize that when our father throws a party for our wayward brother, we are not the ones who are getting cheated.